Ground screw is consist of drill bit and drill pipe and once it is anchored in the ground, it can not take out and it will be used as one fixed pile. There are four types of ground screw piles we exported: ground screw with nuts, ground screw with flange, ground screw with U shape and helical ground screw piles. 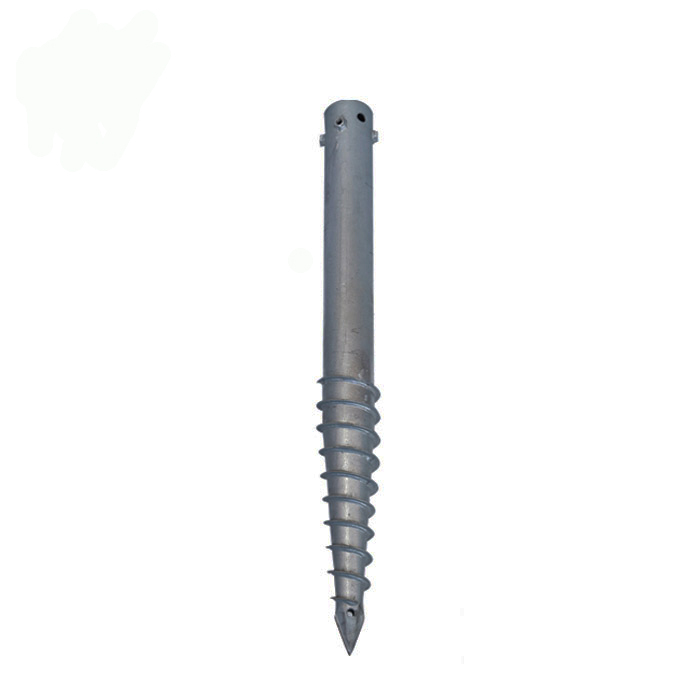 These four types of ground screw are more popular with our customers and we can make other types of ground screw pile according to your requirements or your drawings because different countries have different types of ground screw pile. So, you can let us know your needs and then we will supply more information to you.